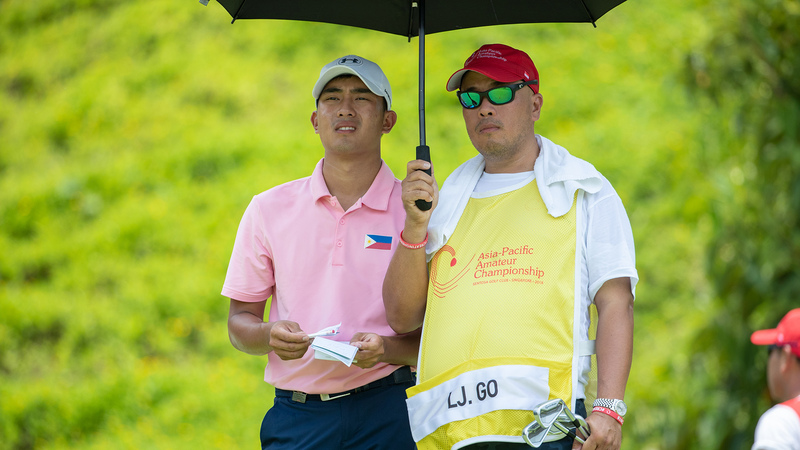 China’s Jin Cheng and Lloyd Jefferson Go of the Philippines shot matching rounds of three-under-par 67 during the second round of the Asia-Pacific Amateur Championship (AAC) on Friday to open a slender one-shot lead over the field. 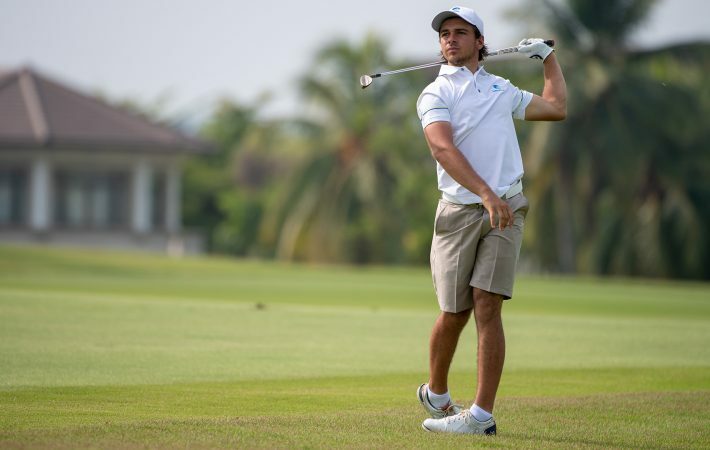 At the halfway stage of the region’s premier amateur golf tournament, which is being played at the par-70 New Tanjong course of Sentosa Golf Club, Jin, the 2015 champion and Go are tied on top at eight-under-par 132. 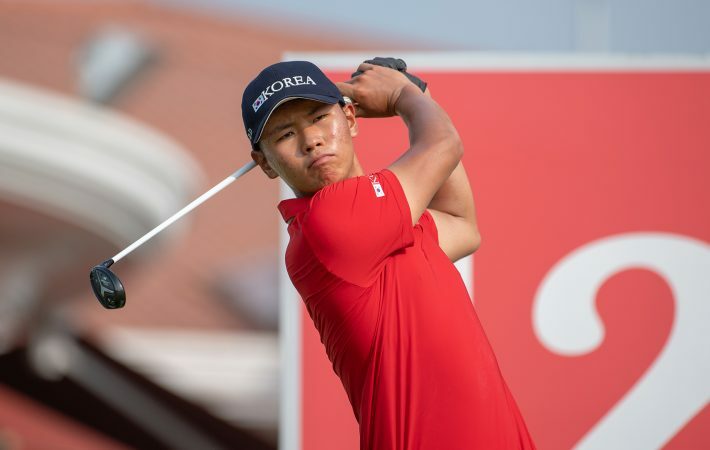 Korea’s Ha Jin-Bo (67) and China’s Bai Zheng Kai (67) are tied in third place at seven-under-par 133. 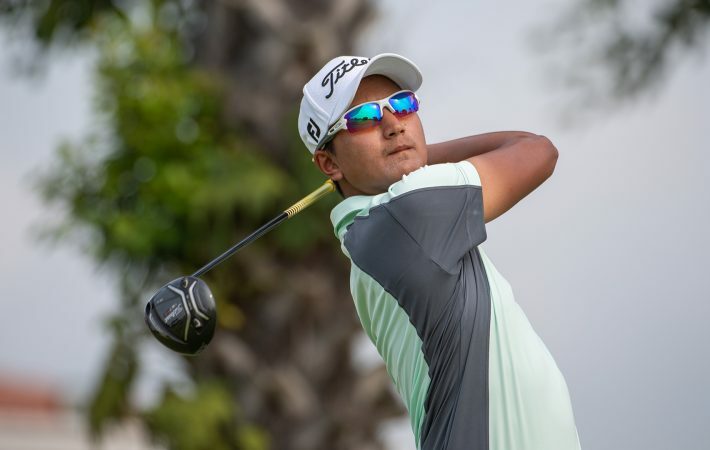 Thailand’s Sadom Kaewkanjana, the highest-ranked Asian player in the world at No. 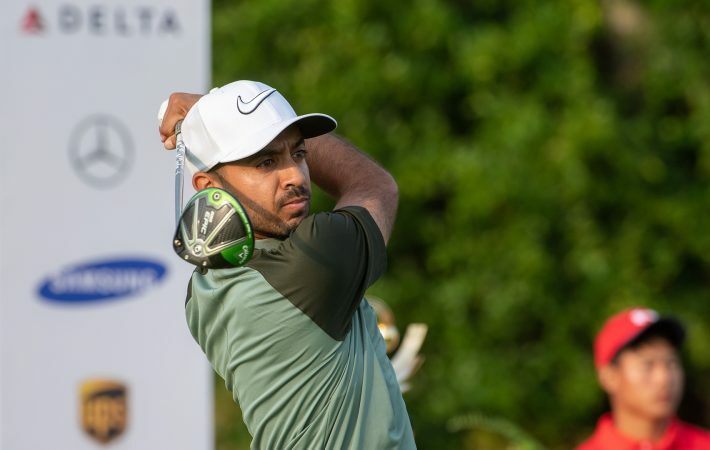 10, made his move with a four-under-par 66 round to move to a tie for fifth place at six under par. 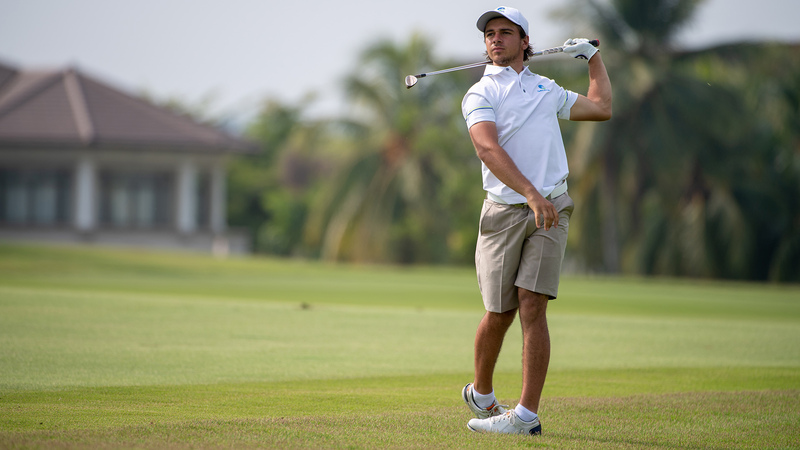 Overnight leader David Micheluzzi of Australia carded a one-over-par 71 to slip into a tie for seventh place at five under par alongside Australia’s world No. 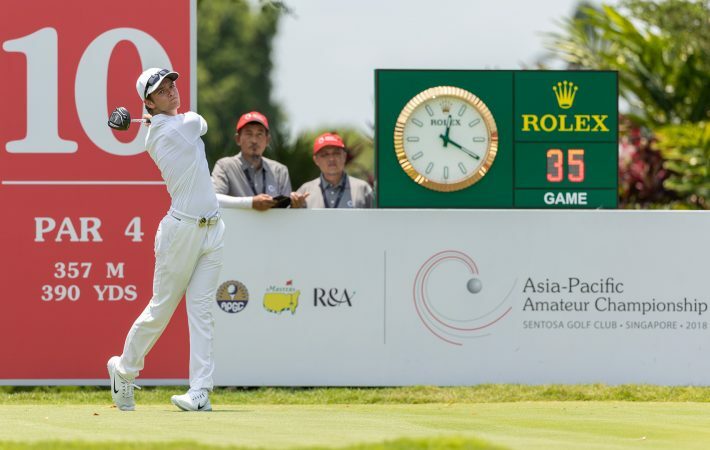 9 Min Woo Lee (69), the highest-ranked player in the field. 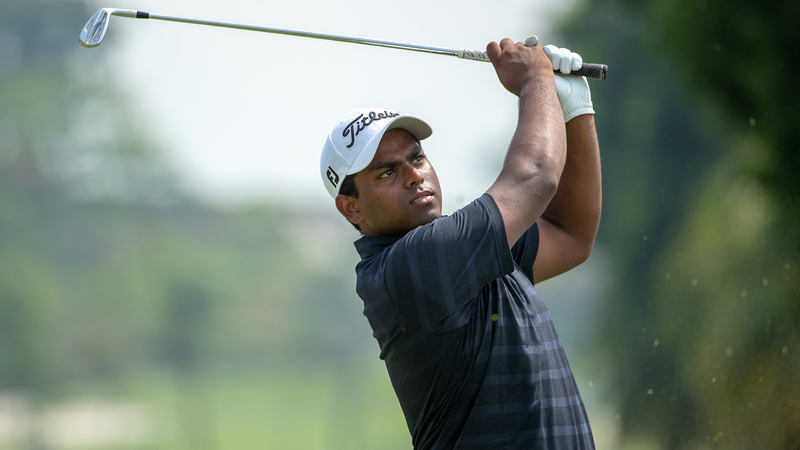 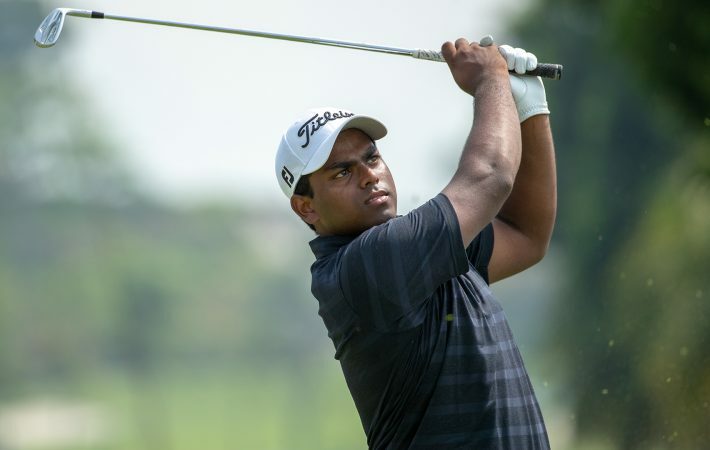 India’s Rayhan Thomas matched the low round of the tournament (six-under 64 set by Micheluzzi on Thursday) and bounced back into contention at two under par, just six shots behind the leaders. 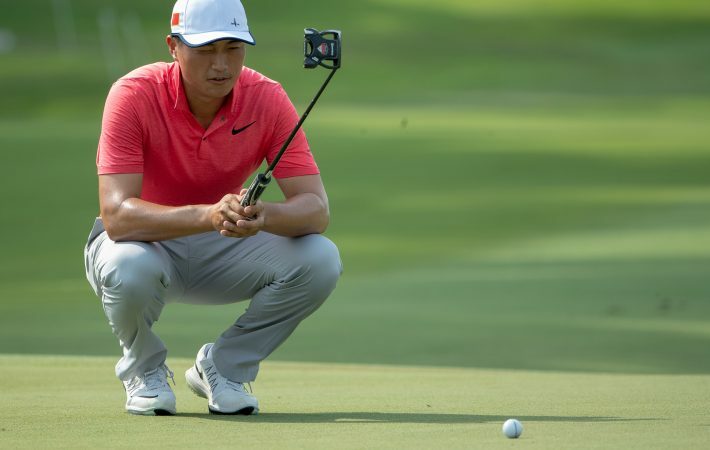 Motivated to win the championship again so that he can make a second trip to the Masters – and his first to The Open, next year at Royal Portrush – Jin was happy with the fact that he managed to limit his mistakes in the opening two rounds to just two bogeys. 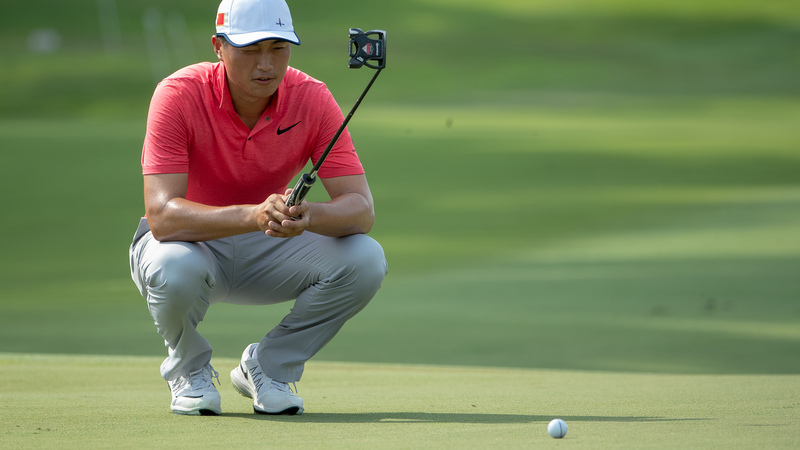 “The chance of getting back to the Masters motivates me to play better. 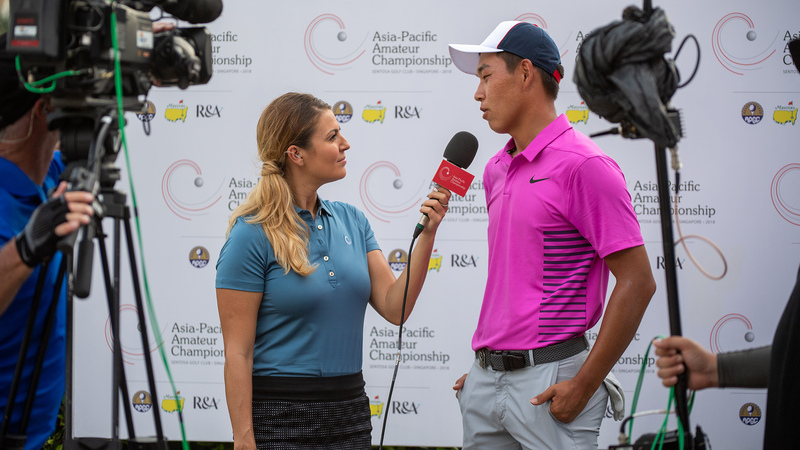 But I am trying not to think of that in-between the shots. 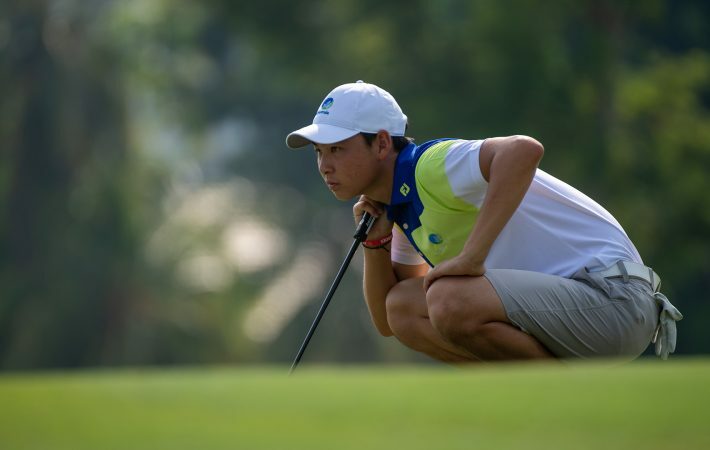 I don’t want to do anything fancy over the next two days and just try and stick to my process,” said the 20-year-old who won a team silver and an individual bronze for China at the recently concluded Asian Games in Jakarta. 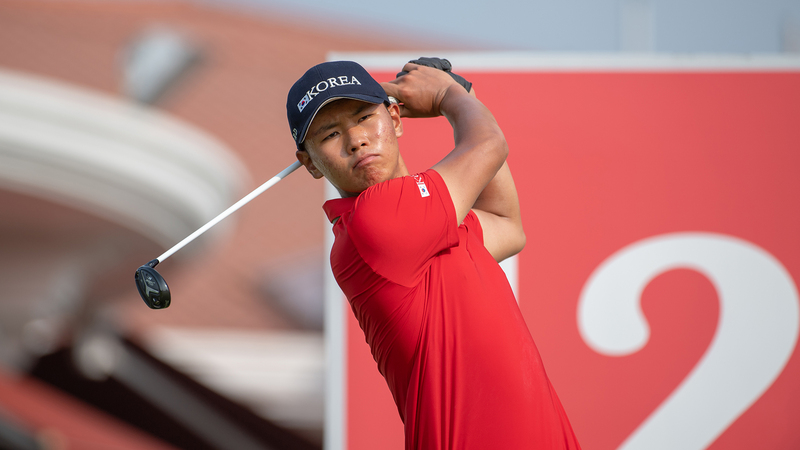 The 23-year-old Go made bogeys on the eighth and the 13th holes, but five birdies elsewhere ensured he would finish the day tied at the top. 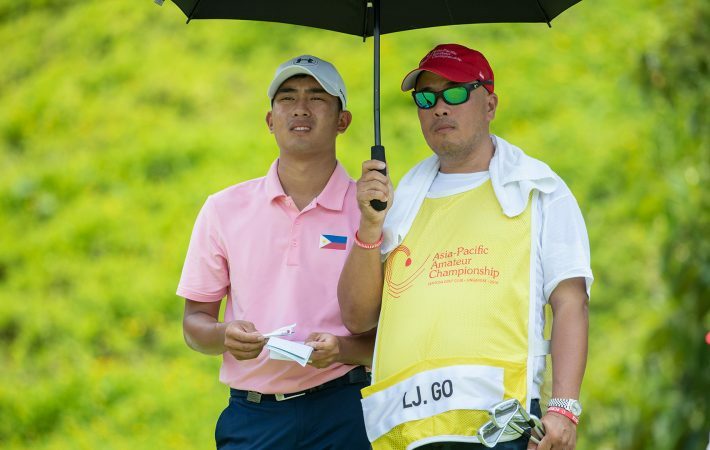 No Filipino golfer has ever finished in the top five of the AAC, with Go’s T-8 finish at Clearwater Bay Golf & Country Club in 2015 being the best to date. 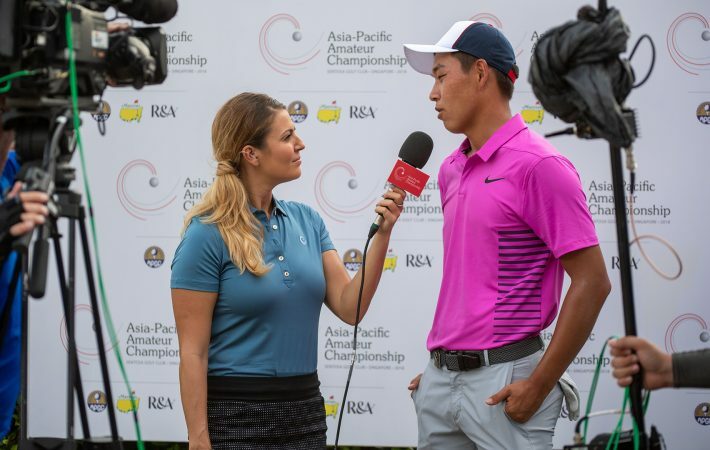 Go, making his sixth and last AAC appearance, said: “I did not expect this at all. 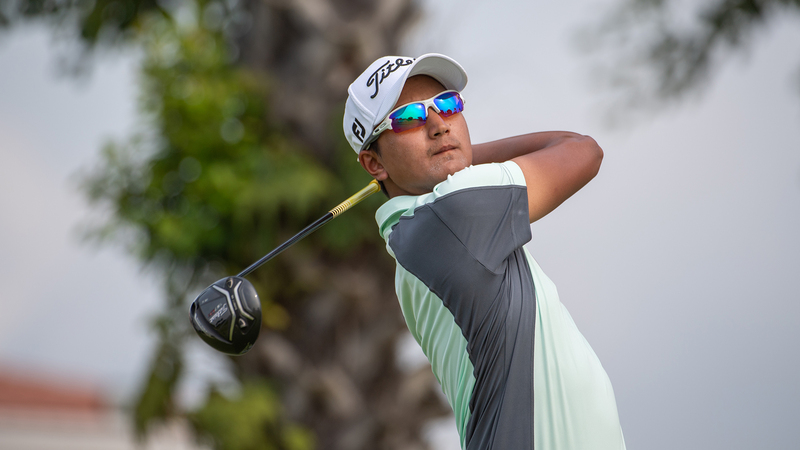 I wasn’t playing too well before the tournament and I took some time off. 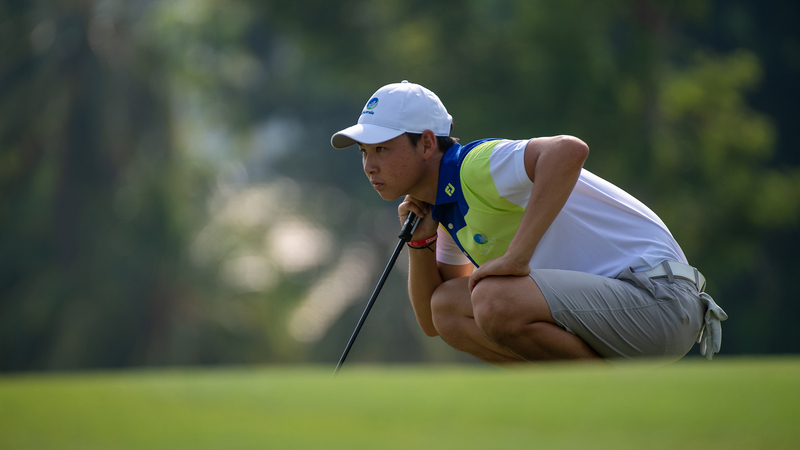 But I have played well so far and that is the most important thing.